With an introduction by Janice Gregory. Right: JANICE GREGORY holding a copy of SHE SHALL HAVE MUSIC by her great-aunt. The Sundial Press is an independent publisher with a programme of reprints of early-twentieth-century books with new introductions, including works by Alyse Gregory (Hester Craddock and King Log & Lady Lea), Llewelyn Powys (two volumes of Wessex Essays and CHRISTMAS LORE AND LEGEND Yuletide Essays), Theodore Powys (Unclay and Kindness in a Corner), Philippa Powys (The Blackthorn Winter and Sorrel Barn & The Tragedy of Budvale) and Littleton Powys (The Joy Of It) plus The Sailor's Return by David Garnett (with a previously omitted chapter and an Introduction by J. Lawrence Mitchell) and the previously unpublished Patterns on the Sand by Gamel Woolsey (with an Introduction by Barbara Ozieblo). Clay Phoenix is the first biography of Clemo, and it is the first study to draw from Clemo's extensive archives; an archive that includes sixty years of diaries, letters (including to and from Charles Causley, Cecil Day Lewis, Mary Whitehouse, AL Rowse, Frances Bellerby, TF Powys, George MacBeth and Sir Arthur Quiller Couch), manuscripts of every volume of Clemo’s work and a large photograph collection. — Luke Thompson lectures at Falmouth University. Jugements Réservés: Jacqueline Peltier’s translation of JCP’s Suspended Judgements. With notes by the translator and an introduction by Marcella Henderson-Peal. View further information. Avalon Aeon Publications, 2016: Includes a discussion of A Glastonbury Romance. available from: Cambridge Scholars Publishing. Price: �.99. Dr Jamoussi was a lecturer at The University of Tunis. John Cowper Powys: Wood and Stone, Rodmoor, After My Fashion, Ducdame, Morwyn, Atlantis, The Brazen Head, The Inmates, The Art of Happiness, In Defence of Sensuality, Autobiography. “Philippa my dear I must congratulate you on the excitement your Budvale caused us. Alyse read it first & expressed herself astonished at its power & beauty. Then as soon as Lulu was back I read it all through aloud to them both, in two readings. And Lulu was as excited as I have only about once before seen him excited by any writing. I do congratulate you on this work … but I regard it as only a prelude to others more beautiful & formidable.” – John Cowper Powys (in a letter to the author, August 1924). The poet and diarist Mary Casey (1915-1980) was the niece of John Cowper, Theodore Francis and Llewelyn Powys. After her marriage to Gerard Casey she followed him to Kenya, where he was working as a farm assistant for her uncle and godfather W.E. (Will) Powys. 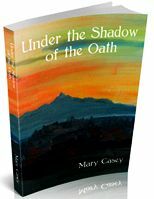 The title of this selection from Mary Casey's African journals Under the Shadow of the Oath refers to the Mau Mau Uprising, which started in 1952. By then the Caseys were well established on their own farm on the slopes of Mount Kenya just above a forest reserve, a hiding-place for dangerous wild animals as well as the Mau Mau, but as Mary Casey writes ‘ ... if you have to spend your days with people who have taken blood-curling oaths for your destruction the only possible way to carry on is as if everything was as usual, apart from what seem reasonable precautions.’ Her journals offered often a refuge and meant to her 'above all a transmutation by poetic thought of grief into some kind of tragic drama; of joy in the elements into song'. CONTENTS: The Sea! The Sea! The Sea! - Lodmoor - The Memory of One Day - A Stonehenge in Miniature - The Father of Dorset - A Pond - High Chaldon - A Royal Rebel - Somerset Names - Montacute Hill - The Village Shop - The Wordsworths in Dorset - The World Is New! - A Visit by Moonlight - Shaftesbury: Champion of the Poor - A Wish for Freedom - Athelney: In the Steps of King Alfred - Wookey Hole - Green Corners of Dorset - Recollections of Thomas Hardy - A Foolish Razorbill - A Richer Treasure - Weymouth Memories - The Shambles Fog-Horn - Dorchester Lives. 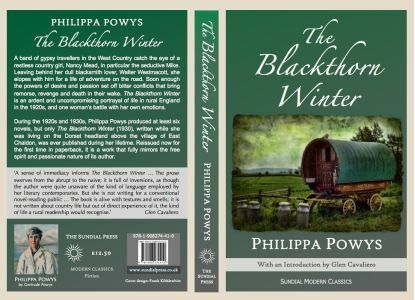 The following Crescent Moon books in their John Cowper Powys Studies Series are available as e-books at Amazon and other online sellers. 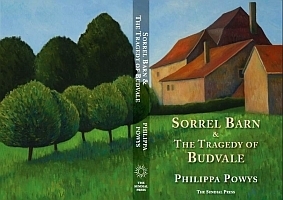 The Brynmill Press has issued several important previously unpublished works by T.F. 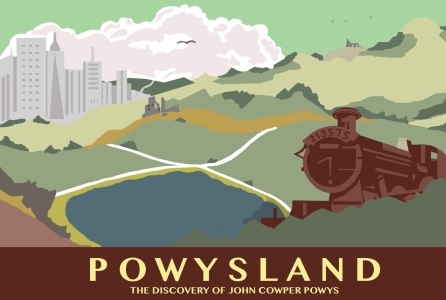 Powys - 'Father Adam' (1990) - 'The Market Bell' (1991) - 'Mock’s Curse' (1995) - 'The Sixpenny Strumpet' (1997) - 'Selected Early Works' (2005) - as well as a memoir 'Cuckoo in The Powys Nest' by T.F.Powys's adopted daughter, Theodora Scutt, and 'T. F. POWYS Aspects of a Life' by J. Lawrence Mitchell. See Cecil Woolf's list of Powys related material. Includes The Uniform Edition of the Collected Letters of John Cowper Powys and The Powys Heritage Monographs.